This year 2018 the ICMAB will be present like last year at "Expominer: Saló de minerals fòssils i joieria". The ICMAB will participate with a stand for some workshops for kids and families on minerals, materials and energy. In addition, some ICMAB researchers will give some science talks on different topics: magnetism, characterization of minerals using synchrotron light, optical properties of crystals, the history of borax (sodium borate), and quars. Don't miss the opportunity to visit one of the events with more minerals, fossils and jewelry of the world! A perfect place for school visits and families! The confirmed science talks are the following, including 5 speakers from the ICMAB! Prof. Josep Fontcuberta, ICMAB-CSIC: "Magnetisme – Imants"
Prof. Jordi Rius, ICMAB-CSIC: " El sincrotró i la caracterització de minerals"
Dra. Maria Isabel Alonso, ICMAB-CSIC: "Propietats òptiques i color dels cristalls: de la tecnologia a les joies"
Dra. Clara Viñas, ICMAB-CSIC: "La Història del Bòrax: dels deserts a les mòmies passant pels reactors nuclears i els fàrmacs"
Dr. Martí Gich, ICMAB-CSIC: "Quars: de la platja als smartphones: Més de 3000 anys al top 10 dels materials tecnològics"
Dra. Adelina Geyer, ICTJA-CSIC: "Els volcans antàrtics"
Last year, the talks from Dr. Mariano Campoy-Quiles, Dra. Susagna Ricart, Dra. M. Rosa Palacín and Dr. Gerard Tobias from ICMAB were a great success! And the ICMAB stand had some workshops on graphene, superconducting materials, photovoltaic energy and batteries. 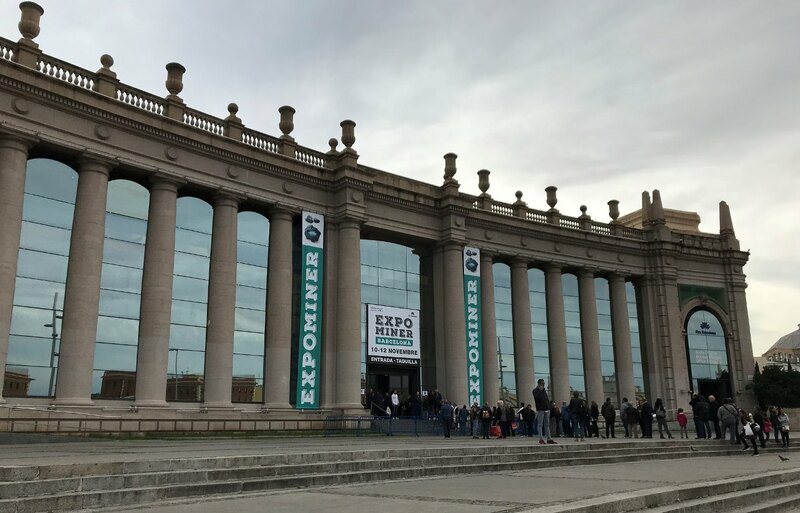 Expominer Barcelona Market, the Internation Event of Minerals, Fossiles and Jewelry organized by Fire Barcelona, will celebrate its 39th edition between 9 and 11 November 2018 in Montjuïc. 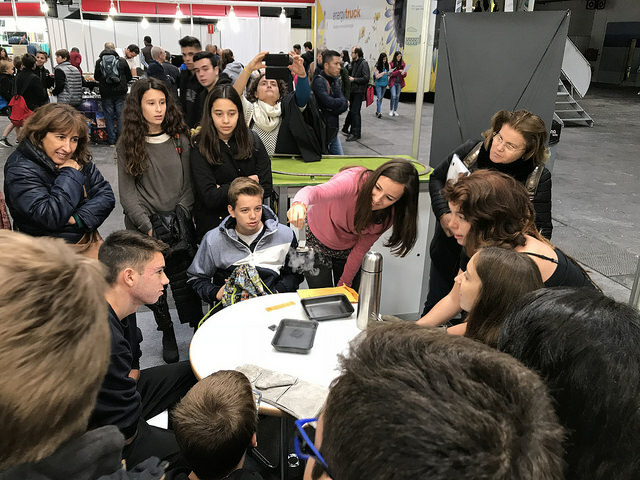 Apart from the exhibition, exchange and buying minerals, fossiles, meteorites and jewelry, Expominer will include an area for science outreach events for the general public: science talks and workshops about meteorites, gold, new materials, and energy.